We customize your trip in case your trip involves multiple city visits or cities which are not currently listed. Our fleet of luxury cars, coaches and buses provides travel solutions for all your corporate events and social gatherings across India. Kolkata - the city of joy, is also commonly considered as the 'Paris of the East', as in it, there's a happy amalgamation of different cultures, styles and moods, coupled with numerous forms of industries, commerce and politics. It is a kaleidoscope of contrasting ideas, life and culture, which can would be found nowhere else in the world. 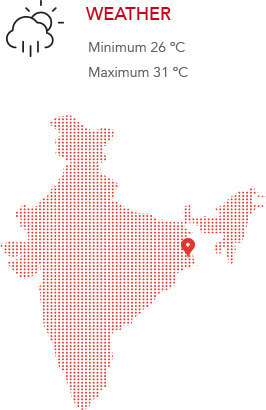 Indian Museum: Want to have a close rendezvous with Egyptian mummies, dinosaurs or fossil skeletons? Then head to the magical Indian Museum in Kolkata right away! Founded by the Asiatic Society of Bengal, the Indian Museum is the oldest and largest multi-purpose museum in the entire Asia-Pacific region. It was the formation of this museum that pioneered the idea of having a museum to foster man-made and natural objects of national importance. The collection at the museum is so remarkable that it is often regarded as the "Jadu Ghar" or the house of magic by the locals. Rabindra Sarovar Lake: Rabindra Sarovar Lake or the Dhakuria Lake, as it was known earlier, is considered to be the lungs of Kolkata. Bandel Church: Standing as the memoir of the Portuguese settlement in Bengal along with a long list of miracles, Bandel Church is one of the oldest Christian churches of the state. The present structure of the church was built in the year 1660 by Gomez de Soto and still has the keystone of the old building with the date of 1599. Kalighat Temple : The Kalighat Temple of goddess Kali is situated on the banks of river Hoogly, around 20 kms north of Kolkata city. It was established in 1847. Raichak has emerged as a sought after weekend destination and is just a drive away from Kolkata, offering spectacular view of the river Ganges and the 18th century Radisson Fort or the Raichak Fort. 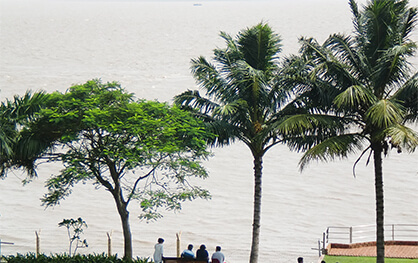 The small and charming town of Raichak is nestled on the bank of River Hooghly. Sunderbans is the largest mangrove forest in the world and lies at the mouth of the Ganges river, extending over an area comprising the territories of two countries - India and Bangladesh. The Sunderbans is crisscrossed by a network of tidal waterways, and mudflats and is an excellent example of ecological progress. 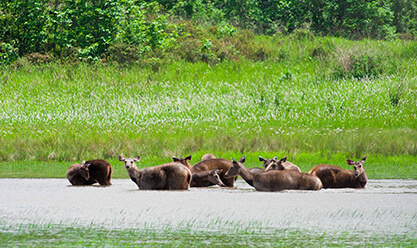 This area is known world-wide for its large variety of fauna. The most famous animal of Sunderbans is the Royal Bengal Tiger. 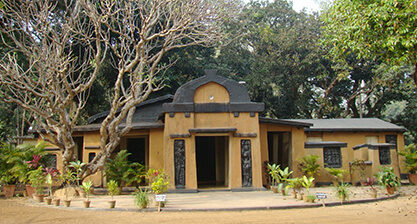 Shantiniketan is a small town near Bolpur in the Birbhum District of West Bengal and about 212 kms north of Kolkata. It is famous due to Nobel laureate Rabindranath Tagore, whose vision became what is now a University town - Visva-Bharati University. The place now attracts thousands of visitors each year. 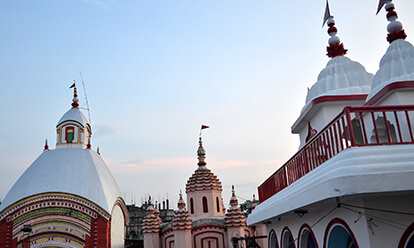 Tarapith is situated on the banks of the north flowing Dwarka River, in Birbhum, West Bengal. The temple is dedicated to the destructive aspect of Shiva, which takes the form of Kali and requires a daily sacrifices to satisfy her blood lust for which every morning, goats are sacrificed on the altar of the temple. 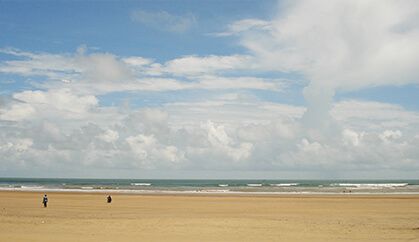 Mandarmani is a seaside resort village in the East Midnapore district of West Bengal and is one of the largest and fastest developing seaside resort village of West Bengal. © 2016 AVIS. ALL RIGHTS RESERVED.